Ed Michael: We are a free comparison website that allows families to compare the prices and services of all funeral homes and cremation providers throughout the country. Ed Michael: Planning a funeral is something you will do once or maybe twice in your lifetime. It’s not a common event. And so, people are naturally inexperienced in this regard. And often times they live far away from their loved ones. Funeralocity.com is a website that makes this process easier. 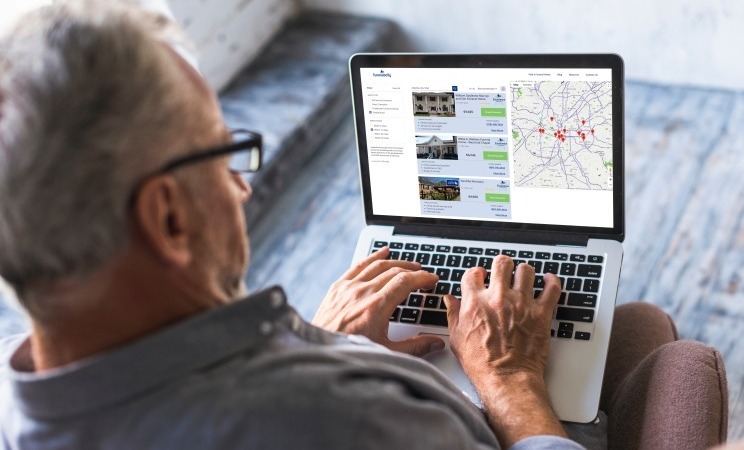 You can search funeral homes in any geographic area, compare prices and find the appropriate contacts from the privacy of your own home, no matter where you live. Q: What do you do different than anyone else? Ed Michael: Funeralocity.com is the only free comparison website to offer up-to-date listings of funeral homes and prices. Ninety percent of homes do not list their prices publicly. So, we do it instead. Q: What are the challenges in this marketplace? Ed Michael: It’s a fragmented industry. The 20,000 funeral homes and cremation providers in the US are 85 percent mom and pop opened and very much rooted in their local communities but not wider areas or networks. It’s a scattered marketplace. Funeralocity.com is a one-stop destination that can connect users to thousands of funeral homes across the country. Q: What standards will you apply to funeral homes being listed on funeralocity? Ed Michael: Our aim is to list every funeral home, but we are putting an emphasis on those that meet our criteria to be “Excellence Providers.” This is a distinction they earn after applying, undergoing a quality-control review and taking a pledge of transparency and abiding by best practices established by the industry. Being an Excellence Provider enables homes to add photos, videos and testimonials to their profiles, as well as attributes that set them apart from their competitors. Those homes that choose not to apply, or don’t meet our standards, are simply listed with an address, Google map and price list. Ed Michael: I was involved in the planning of my father’s funeral in 2013 with my five siblings. We didn’t know where to begin, we all lived in different states and no one knew any of the homes in our father’s town. This is a common situation.